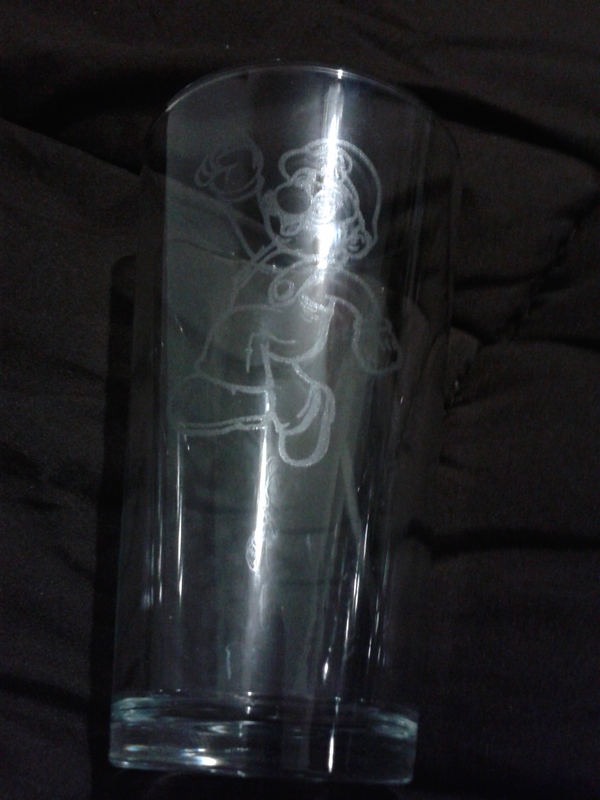 Super Mario Pint Glass by Peerless Customs | The Arcade Archives! 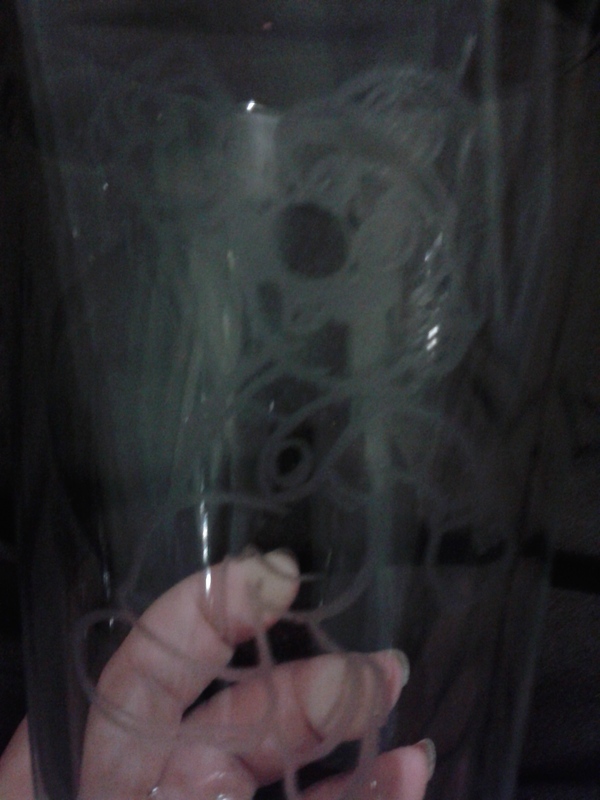 Peerless Customs does amazing etched pint glasses among other items you may need for your home bar. I love the Super Mario design. I wish it showed up better in my photos but I did take the one from the Etsy listing so you will get to see this glass in its full glory. As you can see there are several items you can choose from such as a 64 oz. Growler, a stainless steel bottle opener, or pint glasses. These sets make awesome gifts. The etching is beautifully done. I love the detail that Mario has. This pint makes me want to break out my old school games to play Super Mario. These are also think pint glasses. I hate glasses that are to thin where I feel like I’m going to break them just by holding them. I tried to get you a better close up of the etching it is just fantastic. If Mario isn’t your think not a problem there are plenty of designs to choose from or you can do a custom order. I think these would be the perfect addition for your man cave! 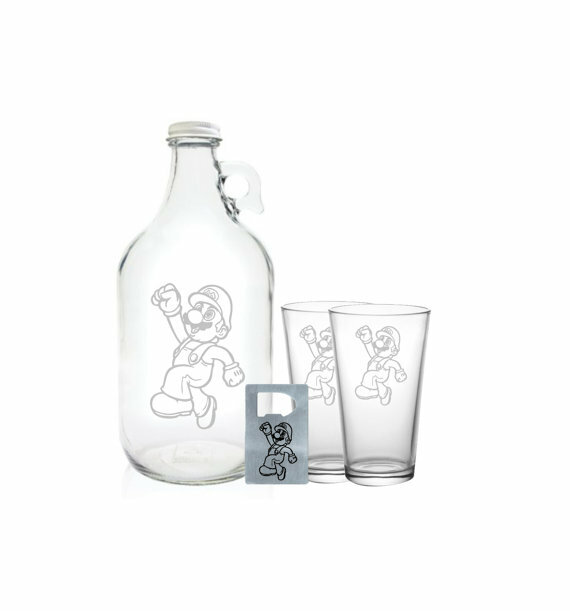 This entry was posted in Archive Entries and tagged custom, glasses, growlers, mario, pint glasses, super mario by ravenheather. Bookmark the permalink.